A FOCUS ON HEALTH & SAFETY. more than just a training course? At Top Banana we specialise in helping businesses communicate better. Helping audiences get, understand and start doing things because they believe in the message. 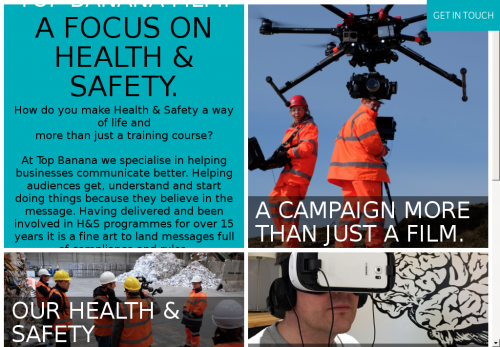 Having delivered and been involved in H&S programmes for over 15 years it is a fine art to land messages full of compliance and rules. A CAMPAIGN MORE THAN JUST A FILM. OUR HEALTH & SAFETY SHOWREEL.